Cupcakes make everything better. Making cookies? Use a cupcake tin? Pancakes? Bake those suckers in the round pan of glory! 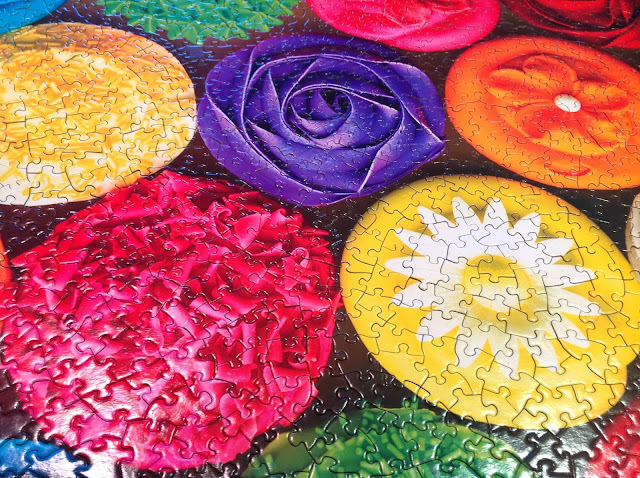 In honor of our love of the cupcake, we busted out the cupcake puzzle I received for my bday! 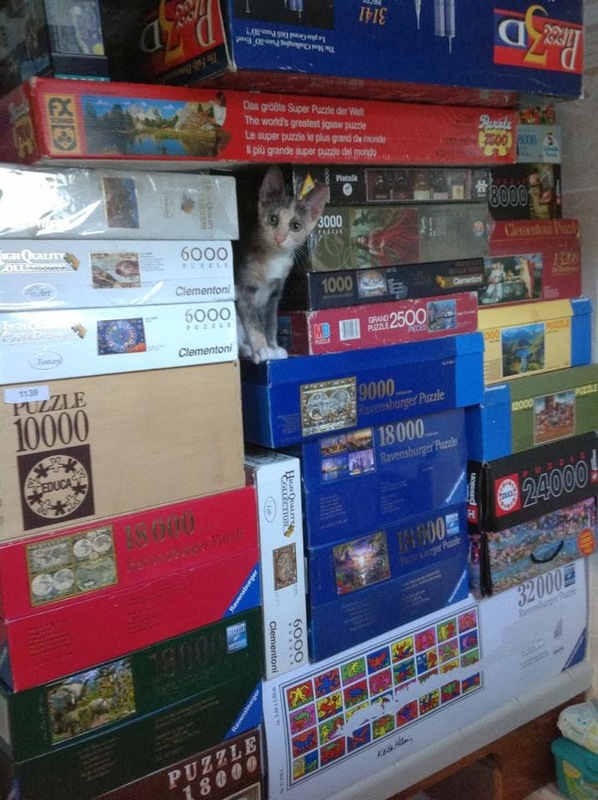 Oh yeah, our kitty loves the puzzles boxes too!